This year’s World Brain Day was celebrated on July 22, 2017. The prior World Brain Day topics were aimed at epilepsy and dementia, and this year it was aimed at stroke. We partnered with the World Stroke Organization (WSO), which puts great global effort into the prevention and treatment of stroke. 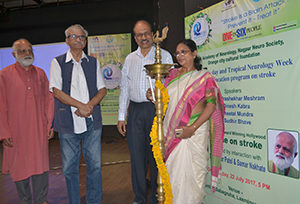 Nagpur Mayor Nandatai Jichkar (right) inaugurated World Brain Day and Tropical Neurology Week with the assistance of (from left) Samar Nakhate, Dr. Jabbar Patel, and Dr. Chandrashekahr Meshram. World Brain Day was celebrated with great enthusiasm on July 22 in Nagpur, India, where a public education program on stroke was presented. The program was inaugurated by Nandatai Jichkar, Nagpur’s mayor. Chandrashekhar Meshram, MD, highlighted the importance of World Brain Day and public education activities. He also explained the risk factors for stroke and identified steps to take for stroke prevention. Dr. Dinesh Kabra spoke about symptoms of stroke and its management. Dr. Sheetal Mundra stressed stroke rehabilitation, while Dr. Sudhir Bhave highlighted the psychiatric problems associated with stroke and ways to cope with it. Following the presentations, they screened 1000 to 1, an educational movie based on the inspiring story of Cory Weissman. The movie is about a first-year college basketball player who suffers a stroke due to an intracerebral hemorrhage secondary to rupture of an arteriovenous malformation. Weissman overcame the stroke to return to the basketball court. After the movie, Dr. Meshram reviewed the important neurological aspects covered in the movie. The overarching message to the general public was to never give up when dealing with stroke or any neurological disorder. Dr. Jabbar Patel, renowned film director, and Samar Nakhate, the former dean of the Film and Television Institute of India, interacted with the audience and explained several of the movie’s finer aspects. Dr. Meshram also gave a detailed interview on All India Radio, detailing various aspects of stroke. After World Brain Day, the public awareness activity extended through Tropical Neurology Week. Dr. Meshram had written articles for newspapers in English and local languages on litchi encephalopathy, rabies, neurocysticercosis, Zika virus, arsenic toxicity, scrub typhus, and mosquito-borne diseases. Print media followed the campaign with great interest, with a whopping 48 publications during this period. The World Brain Day and Tropical Neurology Week activity was informative and educational, and created a lasting, positive impact. 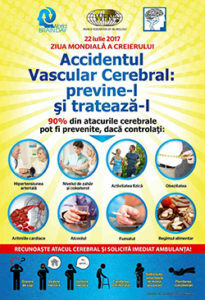 The Society of Neurologists of the Republic of Moldova developed a poster to increase awareness of stroke risk factors and symptoms among the population. The country’s 300 neurologists take care of stroke patients. But measures to prevent stroke, recognize stroke symptoms and signs, and hospital admission with adequate thrombolytic treatment are still inefficient. The poster consists of two parts. The first part is related to prevention of stroke risk factors because research shows that 90 percent of strokes can be prevented. The second part is dedicated to recognizing the first symptoms of stroke. The risk factors highlighted are arterial hypertension, glucose and cholesterol levels, inadequate physical activity, obesity, cardiac arrhythmias, alcohol consumption, smoking, and diet. The symptoms of stroke highlighted are headache, blurred vision, speech disturbances, balance problems, weakness, and numbness in the upper and lower limbs, and loss of consciousness. In acute cases, emergency medical care should be called immediately. The content of the poster was approved by the Ministry of Health and distributed to the medical community. It was sent electronically to all neurologists in hospital and ambulatory settings. More than 300 copies were printed and placed in inpatient and outpatient departments, physicians’ offices, classrooms for medical students and residents, and lecture halls. The poster received thousands of likes on Facebook from physicians and patients. 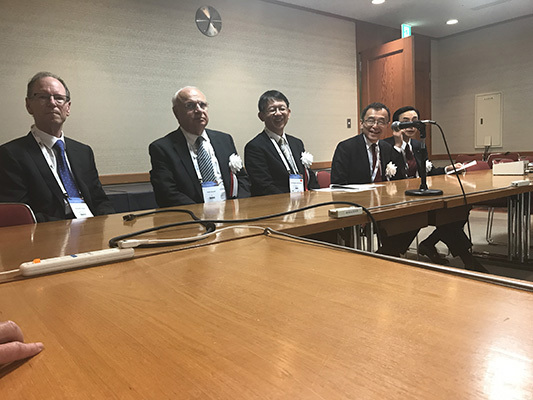 In their weekly conferences, hospitals were told about World Brain Day and the importance of cerebrovascular pathology, treatment, and prevention among the citizens. 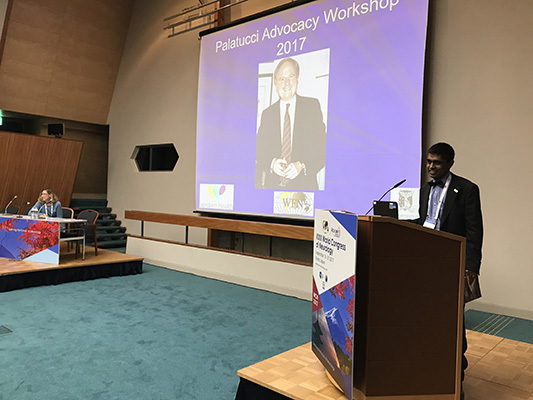 Vitalie Lisnic, MD, is a professor at Moldava State University of Medicine and Pharmacy at the Department of Neurology. The pamphlet (top) developed by Yangon General Hospital neurologists in Myanmar. Educational presentations (lower photos) on stroke drew large crowds. The materials were translated and distributed by neurologists at the Department of Neurology at Yangon General Hospital in Yangon, Myanmar. We developed a health education talk on stroke, stroke risk factors, prevention, and management. We also showed a health education video on stroke, which we developed at our last World Stroke Day celebration. Dr. 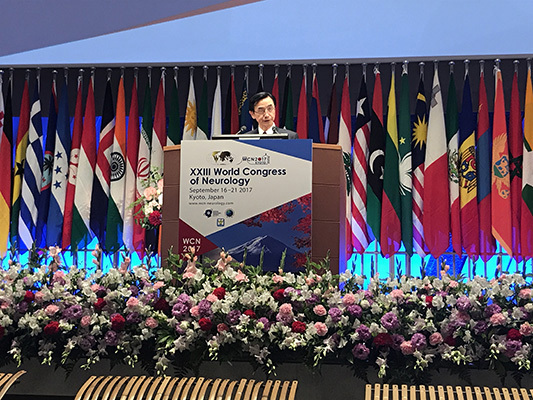 Win Min Thit is professor and head senior consultant neurologist at the Yangon General Hospital’s University of Medicine Department of Neurology in Yangon, Myanmar, and president of the Myanmar Neurological Society. 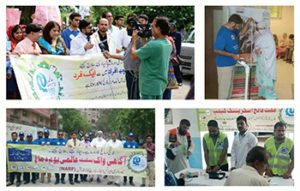 Media coverage, stroke screenings, and the use of awareness posters at major hospitals were part of the effort to spread the word about World Brain Day in Pakistan. World Brain Day is an initiative of the World Federation of Neurology (WFN). It is observed annually for increasing awareness, prevention, and advocacy about brain diseases. World Brain Day is observed in 119 WFN member countries, including Pakistan, every year. 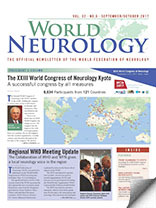 Four years ago, the WFN decided to observe the day to create awareness about neurological disease on a global scale. 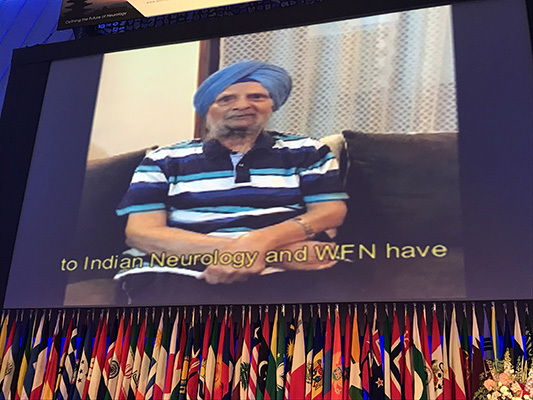 This year, WFN member countries observed World Brain Day on July 22. Activities were held in all four provincial headquarters as well as in rural cities across Pakistan. This year’s focus for World Brain Day was “Stroke (FALIJ),” and the theme of the campaign was “Stroke is a brain attack: Prevent it and treat it.” In this vein, free stroke screening camps, awareness seminars, press conferences, and awareness walks were held across the country. This year‘s World Brain Day activities in Pakistan were a coordinated effort of the Pakistan Stroke Society and the Neurology Awareness Research Foundation, with the cooperation of Al-Khidmat Foundation and the largest doctors body in Pakistan, the Pakistan Islamic Medical Association. Efforts were made to create the utmost awareness about stroke. 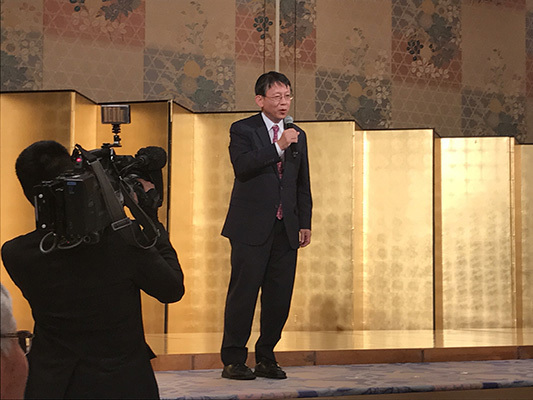 There was a mega news briefing for all print and electronic channels at a local hotel on July 20. Speaking were Professor Shaukat Ali Khan, the former President of the Pakistan Society of Neurology; Professor Muhammad Wasay, president of the Neurology Awareness and Research Foundation (NARF) and the Pakistan Stroke Society; Professor Khalid Sher, Head of Neurology at Jinnah Hospital; Professor Arif Herekar, head of the Neurology Department of Baqai Medical University; Dr. Ahmed Salman Ghori, president of the Pakistan Islamic Medical Association, Sindh; Dr. Syed Tabassam Jafery, president of the Al-Khidmat Foundation, Sindh; Dr. Maimoona Siddiqui, vice president of the Pakistan Stroke Society; and Dr. Abdul Malik, assistant professor of Neurology, General Secretary Pakistan Stroke Society & NARF, at a press briefing held in connection with World Brain Day 2017. There were 14 free stroke screening camps held across Sindh province, specifically the rural areas where there is no such awareness and even a lack of neurologists. Almost 1,300 people received free screening facilities from these camps. Three press conferences and five public awareness walks were organized on July 22 in different Pakistani cities. News coverage as well as articles were published in almost 55 different local and national newspapers along with the participation on different electronic media shows. Awareness posters were displayed across the country in almost all major hospitals, and roadside Panaflex streamers were displayed for the general public. Three formal press releases were issued related to the activities of World Brain Day 2017. All activities were uploaded with pictures on the Facebook page. Interviews and different academic activities were displayed on social media. In different local languages, social media messages for the general public were issued in collaboration with the web-based channel. In contrast to persisting manpower deficits in Nigeria, neurological disorders are on the rise. Therefore, there is a need to increase the neurological workforce. This would be difficult if neurophobia is highly prevalent. A number of strategies to address neurophobia, including practicable, stimulating, and novel teaching methods, are indicated. 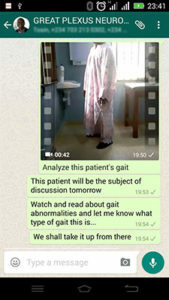 In September 2015, final-year medical students of Ladoke Akintola University of Technology in Ogbomoşo, Nigeria, were engaged in a group discussion via an online chat platform (Whatsapp) with the neurology lecturer and the class representatives as the group administrators. The student representative added interested members of the class to the chat group while the lecturer posted tutorial questions to the platform twice weekly. The tutorial questions (case vignettes) were posted for discussion and included topography, neuroimaging, case videos, EEG charts, and laboratory results. (See Figure 1.) Students were encouraged to make contributions regarding the case in focus. 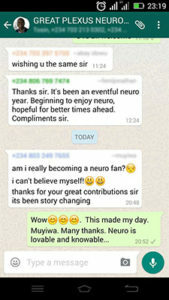 The neurology lecturer, Philip B. Adebayo, moderated the chat to ensure it remained strictly academic. We also posted web links for additional readings with regard to the case in focus. The chat platform seems to be having an effect on increasing interest in neurology. 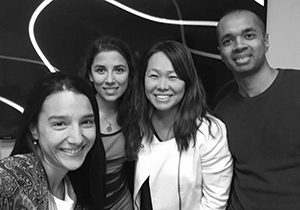 Small group learning sessions have been found to enhance learning, and Sharan et al4 attributed this to cooperative learning kinetics. Even though our observations are anecdotal, we propose a welcoming hybrid model (teacher-driven, online, and social media small group discussions in a team-based problem-solving paradigm). Jozefowicz RF: Neurophobia: The fear of neurology among medical student. Arch Neurol 1994, 51:328-9. Sharan S. Cooperative Learning in Small Groups: Recent Methods and Effects on Achievement, Attitudes, and Ethnic Relations. Rev Educ Res 1980; 50: 241‑71. Philip B. Adebay is from the Neurology Unit of the Department of Medicine at Ladoke Akintola University of Technology and Teaching Hospital in Ogbomoşo, Nigeria. Funmilola T. Taiwo is from the Neurology Unit of the Department of Medicine at Benjamin Carson Sr. School of Medicine at Babcock University in Ilishan-Remo, Nigeria. 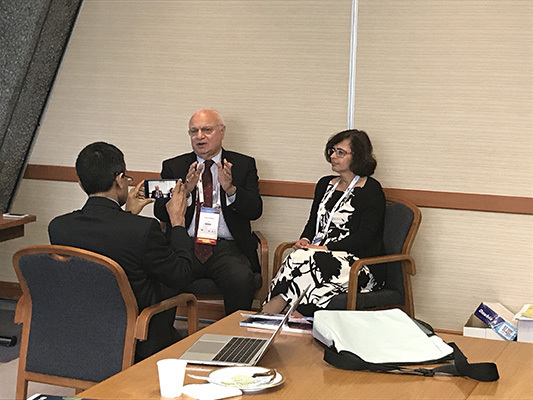 Successful candidates, with faculty, at the European Board Examination of Neurology during the EAN meeting in Amsterdam. 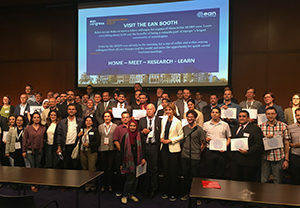 The Ninth European Board Examination Neurology took place during the European Academy of Neurology (EAN) Congress in June in Amsterdam. During the congress, 63 participants were recorded and 58 passed the examination. The examination is not restricted to Europeans. For several years, participants from all over the world have been welcomed. 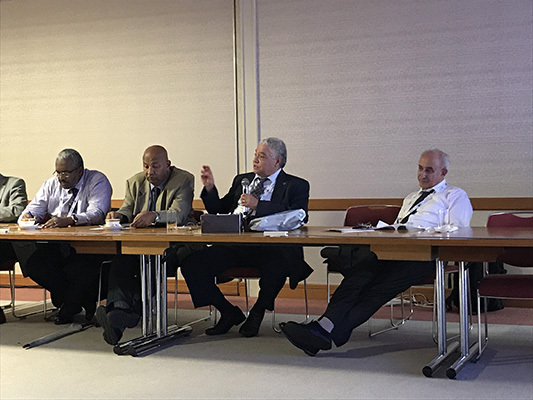 For this examination, there were 39 European participants and 24 participants from Bahrein, Egypt, India, Iraq, Nepal, Saudi Arabia, Sri Lanka, Sudan, Syria, and Tunisia. 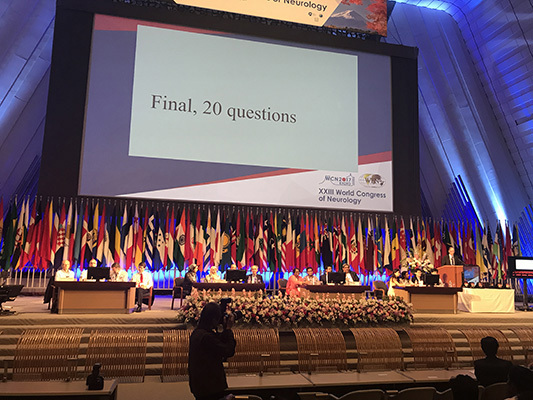 The examination included different formats, such as multiple-choice questions, open book questions, and the oral examination with critical appraisal of a topic (CAT) and essays. For the first time, the Swedish database company Orzone was active and helped to improve the registration and payment process. It also assisted with the question database as well as the evaluation. The written examination, which is the backbone of the examination, contained 100 multiple-choice questions and 60 open-book questions. Open-book questions allowed the candidates to search for items that correspond with a real-life situation. This parallels situations in which doctors use several aids to come to a proper diagnosis. In advance, the candidates provided a CAT and an essay on global health. The development of CATs and essays for the candidates was assisted and monitored by the chair of the examination, Professor Jan Kuks, who checked on style, plagiarism, and topics. He also gave advice. 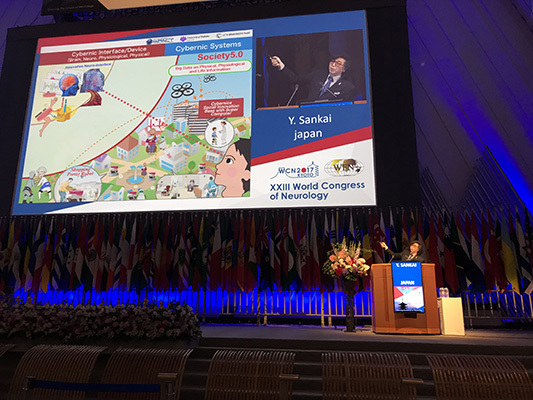 The topics were interesting and covered a wide range of common neurological problems, local neurological problems (such as driving with epilepsy), and ethical aspects. The candidates presented the CAT and essay in a short oral communication to a pair of examiners. The pairs were assigned according to the native language of the candidate, if feasible. 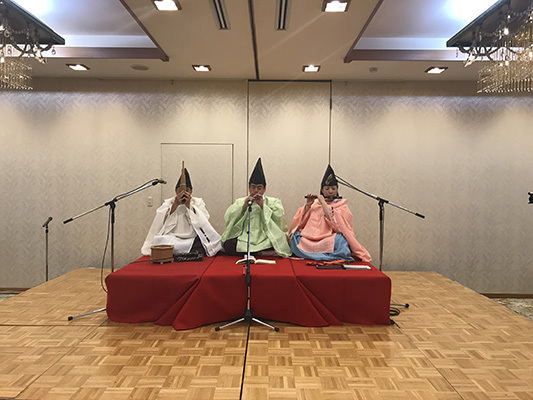 As a novelty, successful candidates from last year’s examinations took part as examiners in the oral examination, which gave it a new and dynamic note. 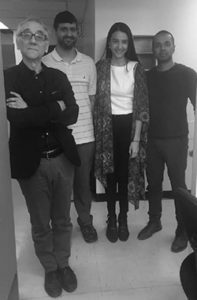 It is noteworthy that neurologic societies from Belgium, France, Germany, Italy, and Turkey subsidized some of the candidates for the examination. For next year’s examination, information is now available at uems-neuroboard.org/web/ and ean.org. Additional information and details on how to write a CAT or develop an essay can be found at uems-neuroboard.org/web/. 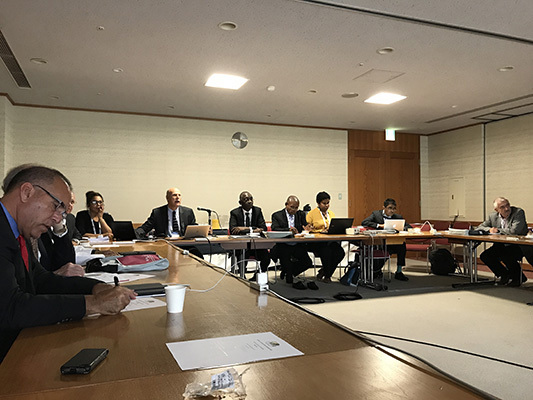 The WFN education committee participates in this examination as an observer. 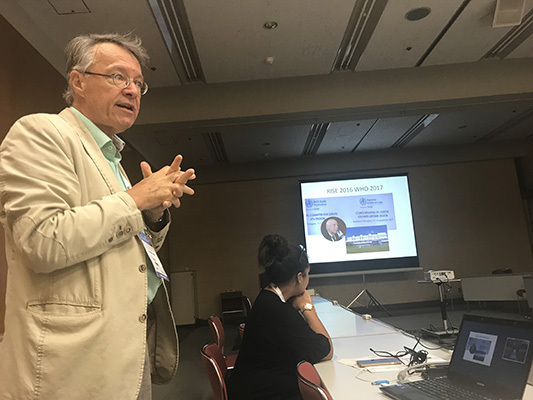 It is pleased with the development of the UEMS EBN/EAN examination because it also offers a platform for non-European countries to participate. The format is in continuous development. With the inclusion of the open-book questions, CATs, and essays, it has reached a timely format. The goal is that more European countries will use this examination, and eventually, the UEMS/EAN examination will replace the national European board examinations. World War II drew to a close in Europe on May 8, 1945. Many institutes for brain research, psychology, and psychiatry of the former Kaiser Wilhelm Society (KWG) were destroyed. Numerous scientists and scholars had died or were forced into exile in America, Britain, and elsewhere around the globe, where they found new working environments after the Nazis had seized political power 12 years before. Institute estates, scientific instruments, and large quantities of archival material had been put on trucks and train carts, making their way to the allied occupation zones of West Germany and evading the Soviet zone in the East. A prominent example is the former Institute for Brain Research of the KWG, headed by neuroanatomist Oskar Vogt (1870-1959) and his wife Cécile Vogt-Mugnier (1875-1962). The institute was scattered over as many places as Bochum, Cologne, Duesseldorf, Dillenburg/Giessen, and Frankfurt am Main. The Max Planck Institute for Brain Research in Frankfurt am Main, Germany, ca. 1962. Courtesy of Max Planck Society. 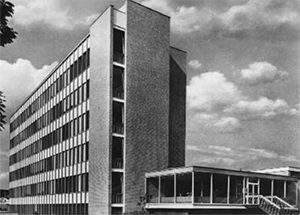 Since the new founding of the Max Planck Society (Max-Planck-Gesellschaft or MPG) in 1948, many questions were posed regarding the reconstruction of destroyed research buildings, brain research laboratories, and pathology collections during the postwar period. Despite the strenuous effort of coming to terms with the past (“Vergangenheitsbewaeltigung”) of the KWG and its problematic research tendencies (such as in eugenics, inherited nervous diseases, and military-related neurophysiological research) in the wider field of neurology and psychiatry, most of these processes were similarly embedded in the contemporary histories of the Federal Republic of Germany and even Western Europe. Economic and administrative parallels can, for example, be drawn to the founding of the Medical Research Council (1919) and the National Health Service (1948) in Great Britain or the French National Institute of Health and Medical Research (Institut national de la santé et de la recherche médicale or INSERM) in 1964. These occurrences were tightly interconnected with history of science and cultural trends. They influenced the life and working contexts of MPG staff as well, commencing with an initial restoration period in the immediate postwar period (1945-1955) to the reconfiguration of the field during prolonged times of economic prosperity (1955-1972). Profound reforms and research consolidation emanated between 1972 and 1990, triggered by prevailing economic and energy crises, to finally lead to an advanced growth after German re-unification and an increasing process of globalization in Western industrialized countries (1990-2002). The general reconstruction process in and of the neurosciences, behavioral sciences, and cognitive sciences in the Max Planck Society was, however, not determined through research priorities alone. Considerations for training junior staff were equally as important. 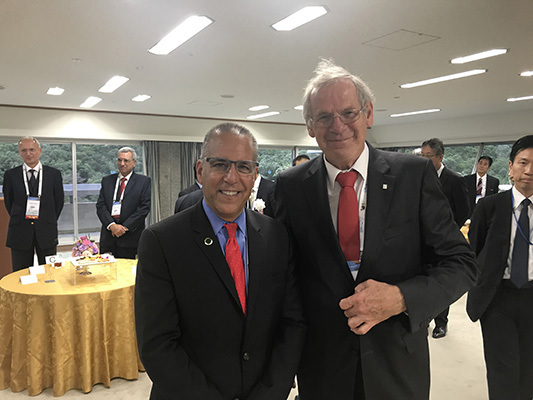 It received important attention through MPG leadership that tried to rebuild its international linkages to catch up with the world level in neuroscience research. The exchanges with the American Neuroscience Research Program (NRP), founded by MIT neurophysiologist Francis O. Schmitt (1903-1995), played an important part in the rebuilding of and the interdisciplinary formation of the neuroscience field in West Germany. Schmitt, who was of German ancestry, had great sympathy for this European country and upheld close personal relations, for example, with neurochemist and later Nobel laureate Manfred Eigen (b. 1927) in Goettingen, Germany. 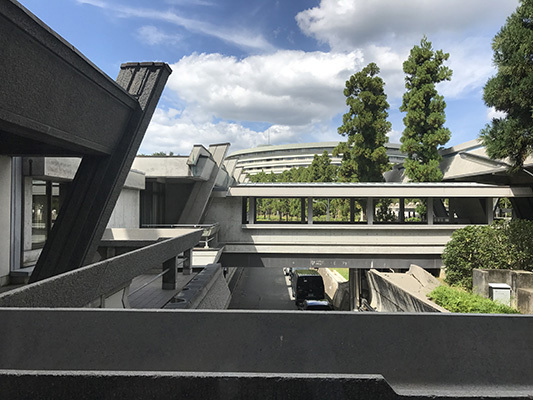 Eigen was engaged with the idea of the NRP and managed to find substantial financial support through the German Volkswagen Foundation (Volkswagenstiftung) — although not quite a philanthropic institution like the American Rockefeller Foundation. It enabled many young investigators and students to participate in cutting-edge meetings of the NRP and the legendary Boulder meetings at the Rocky Mountains campus of the University of Colorado. As a consequence, German neuroscientists took part in the events in comparatively high proportion, as did British, Scandinavian, and later, Japanese researchers during the postwar period. To German neuroscientists, the monetary endowment and infrastructure of the NRP appeared unimaginably affluent, as there seemed to be no limits. Since the inception of the program, Schmitt had organized a private foundation to sustain these endeavors. His Neuroscience Research Foundation (NRF), with its bylaws modeled after those of the Massachusetts General Hospital in Boston, enabled NRP associates to organize several work sessions in their own fields and at their full liberty, including only the expectation that cutting-edge topics in neurology and neuroscience had to be addressed. Special emphasis was thereby given to fringe areas, such as molecular neurobiology and quantum computing. Sometimes, non-associates had to organize them, while participants looked overwhelmed by the possibilities given to them. Those who took active part in the NRP as (Senior) Fellows in Residence at Brandegee Mansion and Estate near Boston described it as a “castle” or “palace.” Some of the early German participants were “really jealous” about its affluence. It offered many rooms, a big dining hall, and a ballroom for many types of gatherings. There was even a possibility to stay and work in the library of the building. Many of the directors of the relevant postwar Max Planck Institutes had themselves studied at the NRP for professional reasons and advanced their own academic careers. 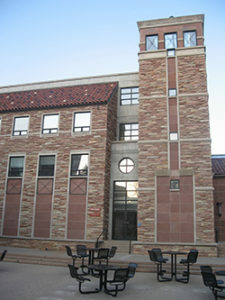 The chemistry building with lecture halls (in 2013) in which many of the NRP sessions were held at the University of Colorado Boulder Campus during the 1960s and 1970s. Courtesy of Frank W. Stahnisch. Nearly everyone who got a professorship in West German neurosciences during the 1970s and 1980s had actively taken part in the legendary Boulder meetings of the NRP and published in the Neurosciences Research Bulletin® (MIT press journals). As a corollary of these personal and institutional efforts, at least 15 years after the beginning of the NRP, West Germany had reached back on the international level of neuroscientific research and overcome some of the devastating effects on the field through World War II. How did these institutes and divisions compare to other institutes in the biomedical section of the MPG or to comparable international institutions? Why was the MPG specifically interested in the area of neuroscience, behavioral science, and cognitive science? Were decisions made to support other areas of biomedical science in the same way and why? Internal developments of science (such as opportunities for innovation, methodical re-directions, and the inclusion of global developments in the neurosciences), as well as societal and political expectations impacted the decision-making processes in this para-university research institution for advanced science. Where did the planning ideas for research programs originate and through which agendas could they be realized at the time? Is it possible to determine the meaning of the cluster for the MPG further, while also looking at the MPG’s administrative and economic roles for the cluster (and its resources)? Which actors and networks played specific roles in the formation and development of the cluster as a whole? What were main trends in the research developments for the development of the neuroscientific area during the postwar period as a whole? The author currently contributes as a senior visiting scholar to the research program on the history of the Max Planck Society, inaugurated by the MPG president, Professor Martin Stratmann, and is led by a group of directors around Professor Juergen Renn from the Max Planck Institute for the History of Science (For more information, see the English website at gmpg.mpiwg-berlin.mpg.de/en/). The author collaborates with the research group, seeking to analyze and reconstruct the development of the neurosciences, behavioral sciences, and cognitive sciences in the relevant institutes of the Max Planck Society. The neuroscience-related institutes have formed a central field of research in the Max Planck Society since its foundation in 1948. Their shared social references and thematic overlap constitute an interface between the life sciences, medicine, and the humanities (including psychology and cognitive science). 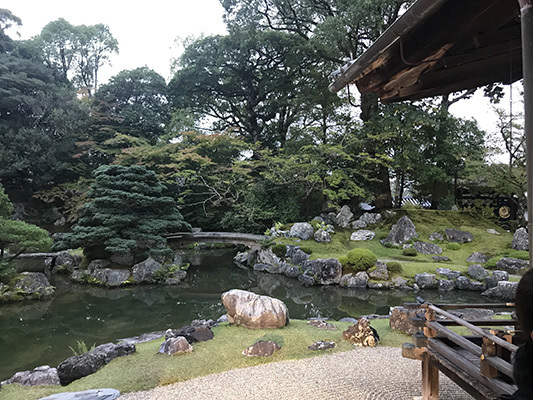 For this reason, they are of particular scientific interest for several aspects of the research program addressing the wider cultural context and implications of the neurosciences. The author seeks assistance from the international community of neurological investigators regarding personal recollections from research stays at neuroscience-related Max Planck Institutes, archival materials (outside of collections held in the Max Planck Society), along with information related to international collaborations between global institutions and individual Max Planck Institutes between 1948 and 2006. His contact details can be found at hom.ucalgary.ca. For a preliminary publication indicating the scope and depth of the research project, see Stahnisch, F.W. : “Mapping Mind and Brain in ‘Modern’ Ways — On the Emergence of Interdisciplinary Approaches in the German Neuromorphological Sciences,” Journal of the History of the Neurosciences, 21 (2012): 96-7. Dr. Stahnisch is a medical historian at the University of Calgary in Alberta, Canada. Visit the website of the history of medicine and health care program at hom.ucalgary.ca. 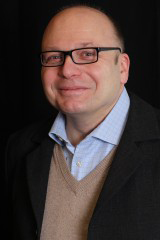 He is currently pursuing a collaborative research project with colleagues in Berlin and Jerusalem that investigates the development and differentiation of modern neuroscience at the German Max Planck Society. 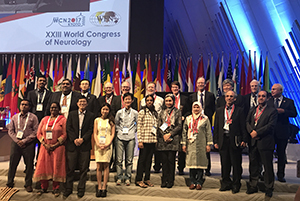 Participants in the Tournament of the Minds gather for a photo at the completion of the tournament in Kyoto, Japan, at the XXIII World Congress of Neurology. See more photos from the World Congress of Neurology. 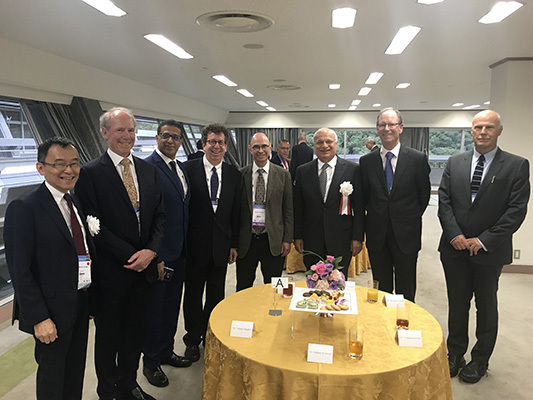 The XXIII Congress of the World Federation of Neurology took place Sept. 16-21, 2017, in Kyoto, Japan. 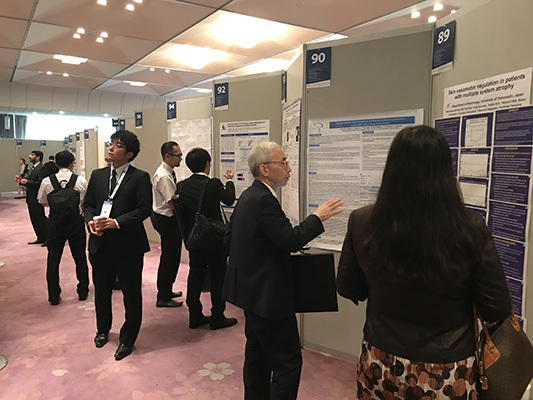 The congress was successfully organized in cooperation with the Japanese Society of Neurology. Preparation over the past several years led to this impressive achievement. 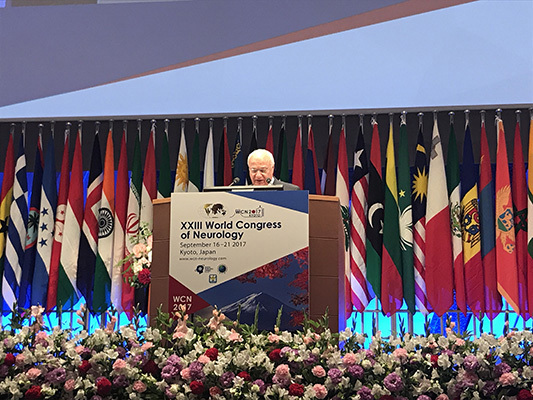 More than 8,600 participants visited the congress, which is the highest number of attendees at any World Congress of Neurology (WCN). 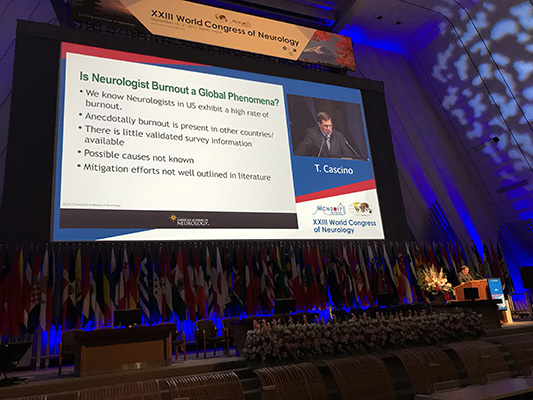 This reflects the high interest in the brand of WFN World Congresses as well as the high global interest in neurology. 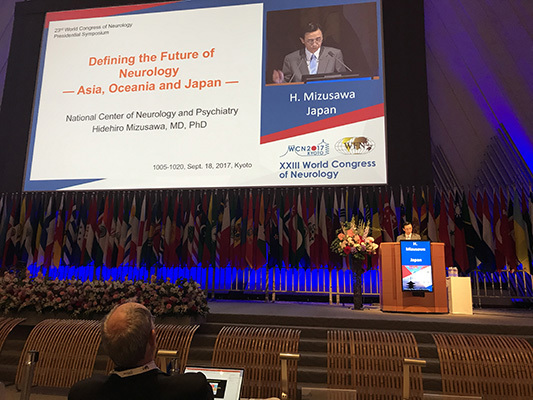 The motto of the congress was “Defining the Future of Neurology.” In doing so, the World Federation of Neurology (WFN) provided scientific input from the World Health Organization (WHO), the Global Neurology Network, and the six WFN regions. 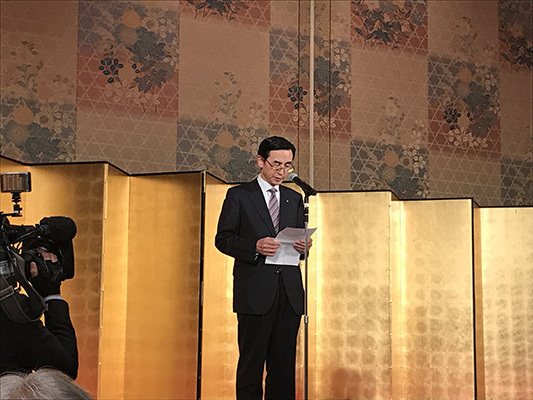 The opening ceremony of the WCN was remarkable as the Crown Prince and his wife hosted a small meeting with the representatives of the WFN and the Japanese Society of Neurology and then gave a nice welcome and introduction at the opening. The WFN is honored that this prestigious visit was possible, which underlines the importance of the WFN and its global activities. 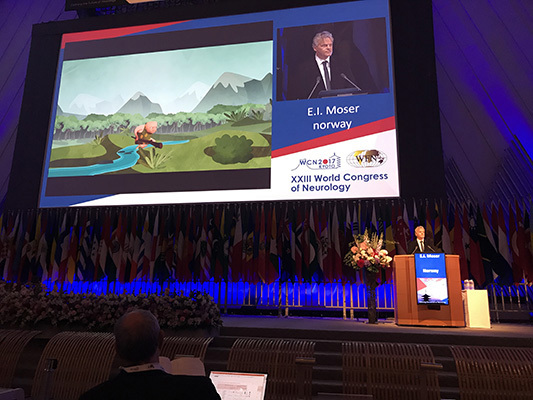 Scientifically, Nobel laureate Edvard Moser spoke on grid cells and the medial-entorhinal space networks. 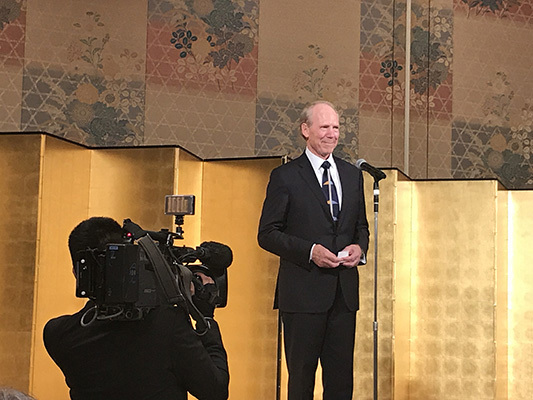 Two additional Nobel laureates presented. 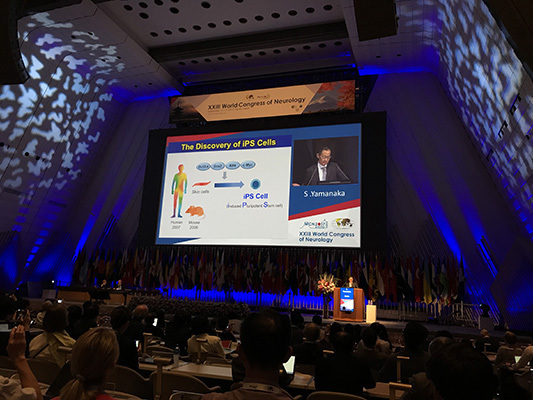 Susumu Tonegawa explored monitoring and engineering memory engram cells and their circuits, and Shinya Yamanaka spoke on recent progress in induced plutipotent stem cell research and applications. 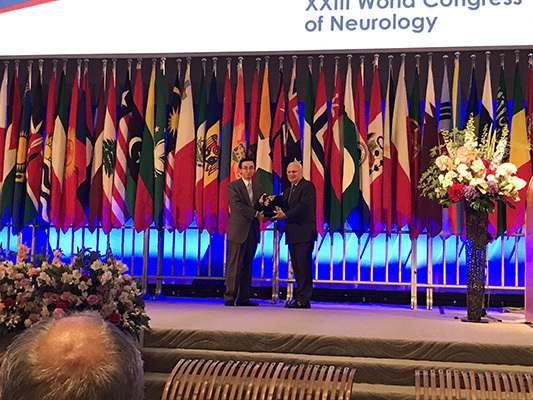 The WFN medal for Services to International Neurology was presented to Jun Kimura, the WFN Medal for Scientific Achievement in Neurology was presented to Angela Vincent, and the WFN Lifetime Achievement Award was presented to Chandrashekhar Meshram. As in previous congresses, the scientific program was intertwined with teaching courses. For the first time, access to all teaching courses was free, and many teaching courses were packed full with interested attendees. 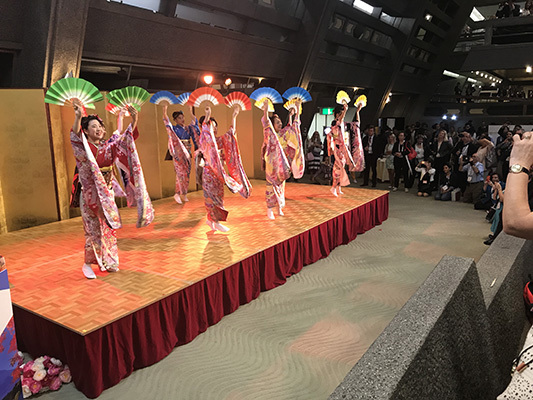 Also for the first time, the World Congress included midday sessions where Japanese attendees participated in large and highly attended sessions in their native language, a novelty for WFN congresses. There were other interesting aspects to the program besides the scientific highlights. 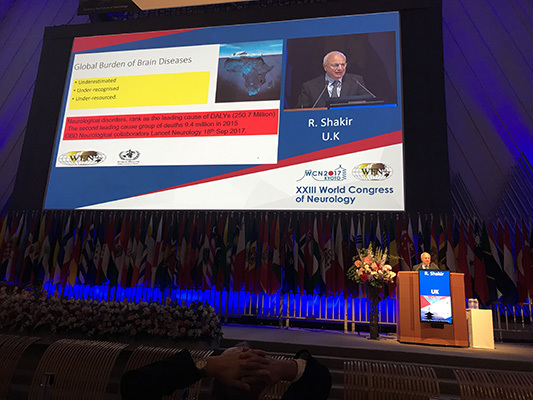 For example, Tarun Dua presented the new Atlas of Neurology, which was released during the World Congress. 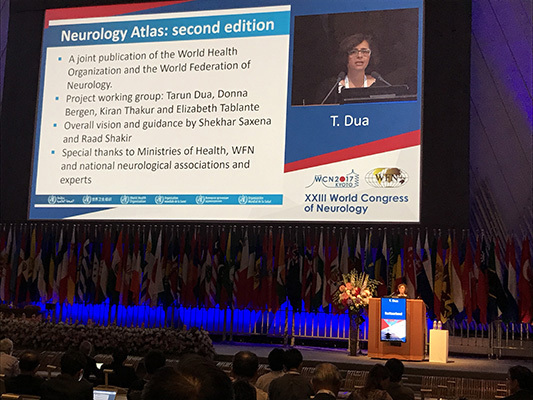 This second edition of the atlas, which was created jointly with the WFN, highlights the worldwide distribution of neurologic services and neurologic possibilities. It will serve as a basis for many health politicians in regard to neurologic services. 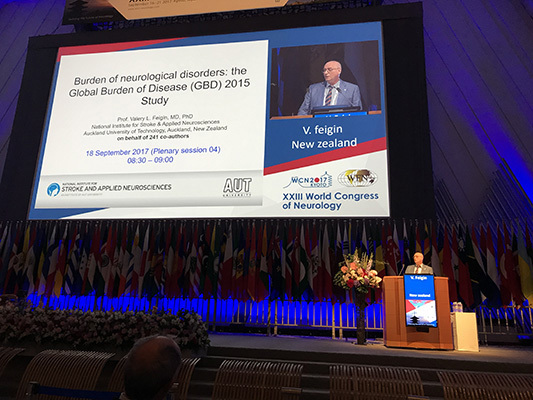 Also timely, Valery Feigin’s presentation on global neurology health statistic clearly showed the importance of neurologic diseases worldwide and demonstrated that neurology is the second-most frequent cause of death and the most frequent for disability in the world. These statistical analyses will influence many aspects of health policies worldwide. 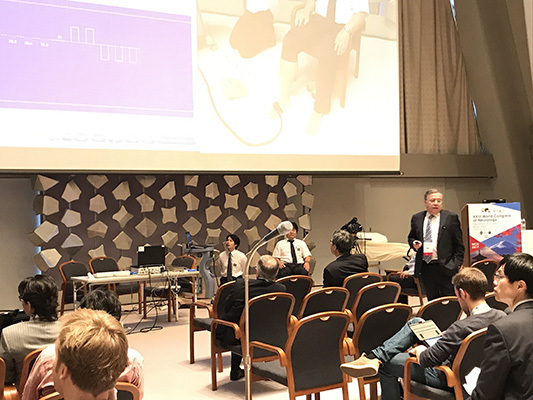 These are just some examples of the many scientific presentations, reports and educational activities that occurred throughout this remarkable and highly attended conference, all with the goal to positively impact neurologic patient care. 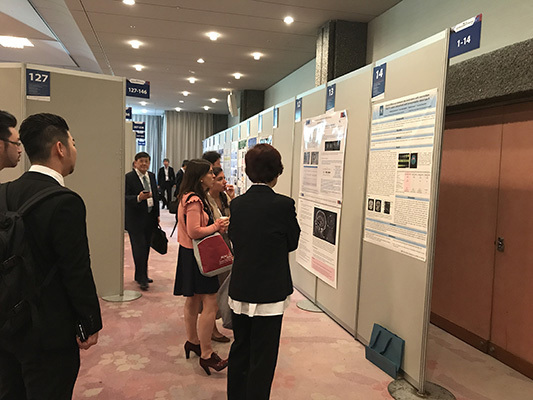 From an organizational standpoint, the World Congress of Neurology also is the time when all the bodies of the WFN, including the committees and research groups, meet. 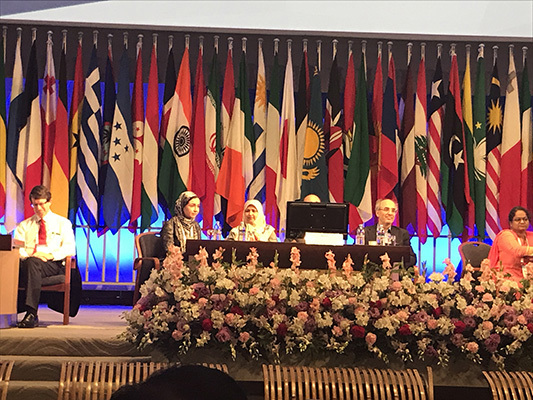 The productive educational endeavors by the WFN, including the spreading of its educational activities in Africa, South America, and, hopefully soon, in Asia were acknowledged and approved by all committees. 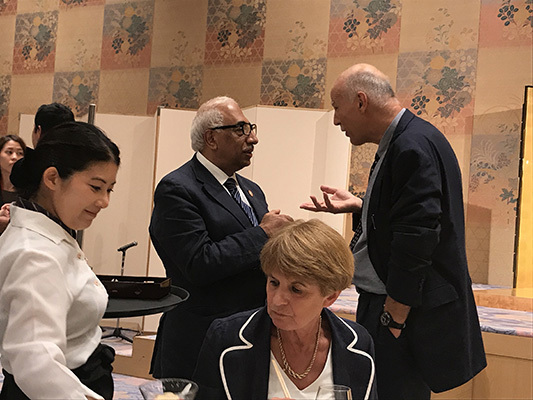 In addition, the World Congress included the important activity of a Patient Day, an activity that was first introduced at the WCN Vienna, and included the presence of President Prof. Raad Shakir. This patient day gave a strong signal that patients are important for the structure and development of the WFN. 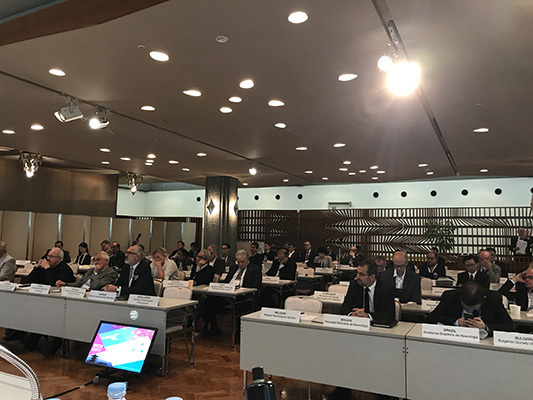 The Council of Delegates meeting was held as the formal meeting of the delegates of the World Federation and several elections were made. 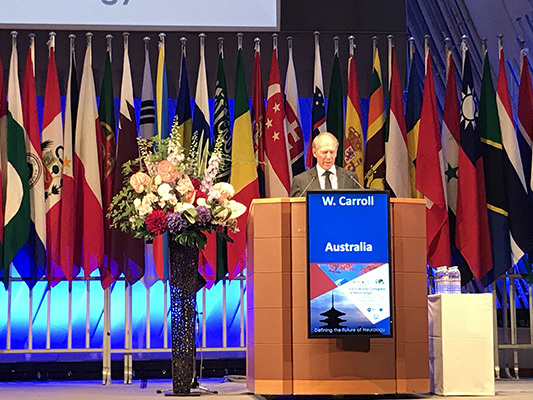 For the position of the new president of the WFN, Professor William M. Carroll from Australia was elected; for vice president, Professor Ryuji Kaji from Japan was elected; and for the open trustee position, Dr. Riadh Gouider was elected for a second term. 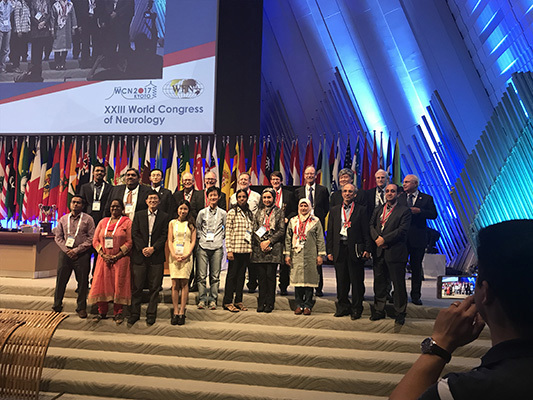 After the next World Congress in Dubai in 2019, the next congress site will be in Europe and there was strong competition between four cities: Copenhagen, London, Marseille, and Rome. 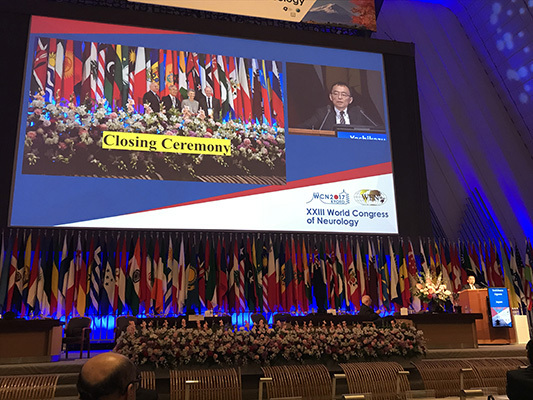 The Council of Delegates voted Rome to the be the site for the World Congress of Neurology in 2021. 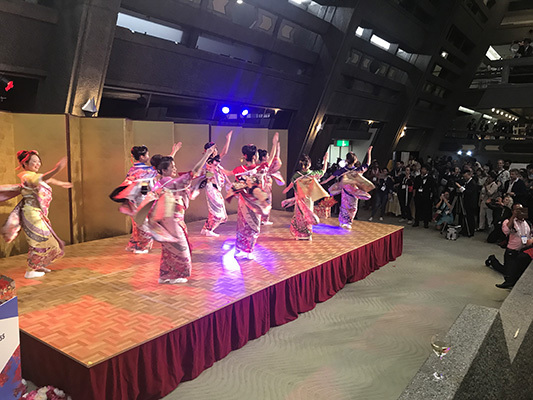 In addition to the scientific and educational program, the Japanese organizers did a tremendous job accommodating their guests in a beautiful congress center. There was time for interaction and the beautiful gardens surrounding this unique place were also appreciated by all of the attendees. 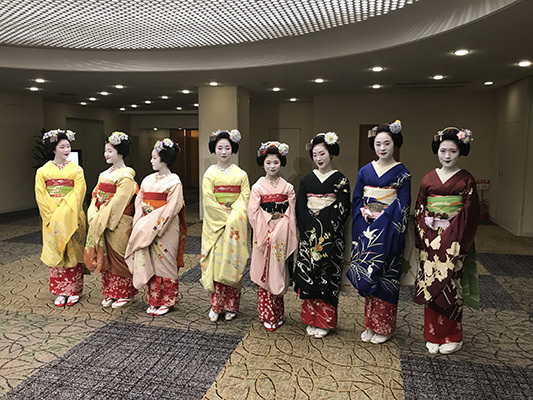 The social program was wonderfully organized and beautiful events gave time and opportunity to observe and participate in the remarkable local culture as well as network and connect with colleagues from all over the world. 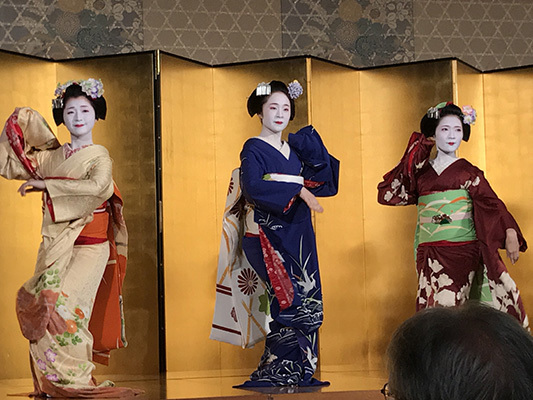 The closing ceremony was a beautiful event as the culmination of a tremendously successful congress in Kyoto. 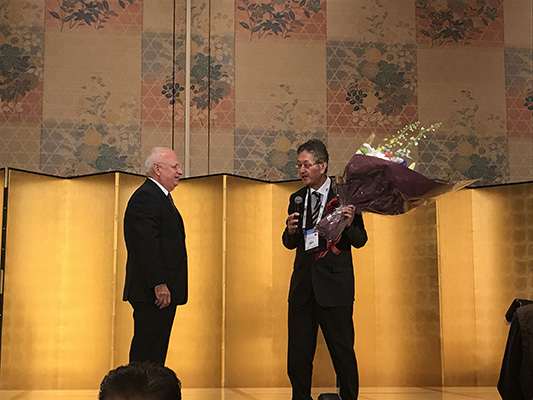 Included in the closing event were presentations to the recipients of the Elsevier Prize for Best Clinical Paper (awarded to Sharon Savage from the United Kingdom, for her and her colleagues’ report on the Long-Term Prognosis of Transient Epileptic Amnesia: Evidence from the TIME Project) and for Best Research Paper (awarded to Gen Shiihashi, Japan, for his and his colleagues’ report, A Novel ALS/FTD Model Mouse Expressing Cytoplasmic Mutant FUS Leads Neurodegeneration via Dendritic Homeostasis Disruption). 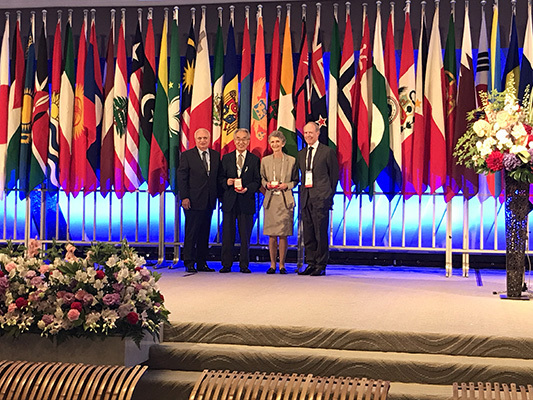 The Ted Munsat award, a new WFN award for educational contributions to the WFN, was awarded to Walter Struhal and Tissa Wijeratne. 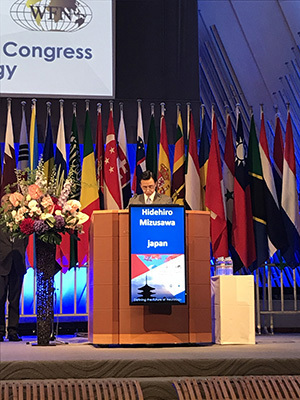 Closing remarks were made from many dignitaries, including President Shakir and incoming President Bill Carroll, and Congress President Hidehiro Mizusawa, and culminated in the ceremonial exchange of gifts between Prof. Mizusawa and Suhail Al Rukn, the congress president for the next World Congress to be held in Dubai. 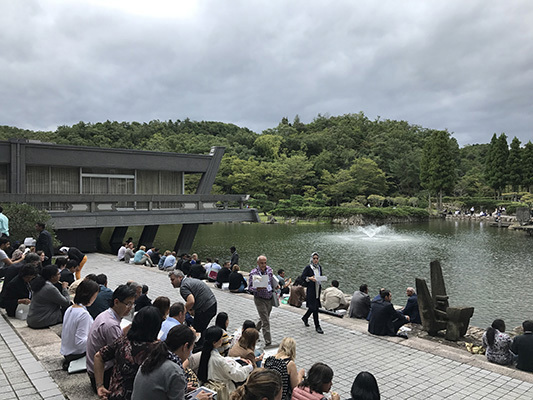 We hope you all enjoy the accompanying photographs as just some examples of many of the wonderful memories from the XXIII World Congress of Neurology in Kyoto. 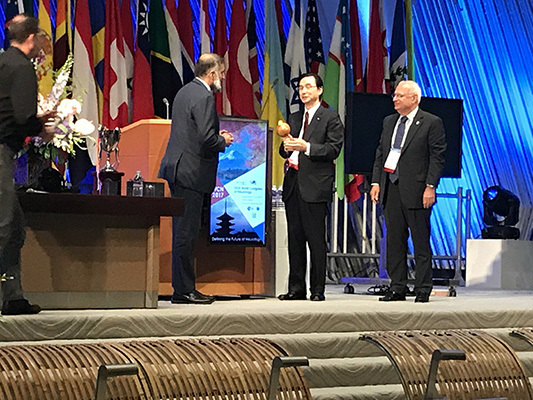 All readers are also encouraged to go to the WFN website for links to videos from many of the plenary lectures from WCN XXIII. See more photos from the World Congress of Neurology. During my visit to the Montreal Neurological Institute and Hospital, everything was wonderful from beginning to end. I submitted a special request in order to do my fellowship in the epilepsy department because most of my patients in Colombia have this diagnosis. I really love to help patients and their relatives with epilepsy. The positive response was immediate, and Dr. Andrea Bernasconi and Dr. Anne-Louise Lafontaine allowed me to spend the entire month in the epilepsy department, doing different types of academic activities. 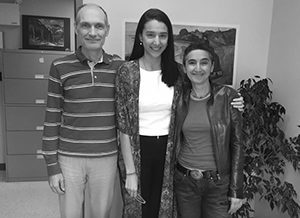 Dr. Vanessa Benjumea-Cuartas (center) with her mentors Dr. Andrea Bernasconi (left) and Dr. Neda Ladbon-Bernasconi. Reading EEG and video EEG every day with different physicians and listening to their points of view. Attending the epilepsy meetings to discuss cases of patients admitted to the video/EEG unit. Attending the first International Training Course on Neuroimaging of Epilepsy. For this, I am deeply grateful to Dr. Bernasconi for allowing me to attend the course for free. Attending the academic meeting with the epilepsy fellows every Friday. I had the opportunity to give a lecture about the new classification of epilepsy and seizures proposed by the International League Against Epilepsy, discussing different scenarios and cases. I met wonderful people who welcomed me with open arms, including the doctors. Those people include Drs. Neda Ladbon-Bernasconi, Bernasconi, Elaine Kobayashi, Francois Dubeau, Jean Gotman, Martin Veilleux, Eva Andermann, and Boris Bernhardt. Others I worked with included epilepsy fellows, EEG technicians, and general people from the hospital, such as the administrative staff and the librarian. 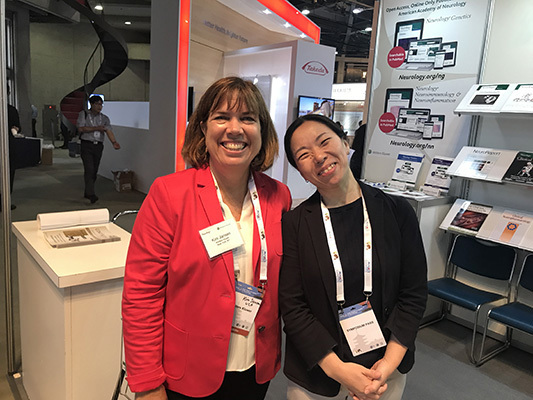 It also was a joy to meet people from Asia and South America — mainly from Argentina, the country where I lived for a year while I was doing my epilepsy fellowship. Having the opportunity to perform training like this opens the mind in terms of academic and social skills. It allowed me to explore different approaches to the clinical questions of patients with epilepsy that arise in the course of daily patient care. It allowed me to learn how countries with a better economic background than mine solve different clinical questions because they have the resources to solve the smallest details. At the end, the real challenge is to come home to try to figure out what do with what we have. Growing up in less privileged countries, such as Colombia, can be a challenge. However, it is clear to me after all of these years that with effort and dedication I can always achieve what I really want. Vladimir Hachinski, MD, is among several prominent physicians selected for induction into the Canadian Medical Hall of Fame. He will be recognized at a ceremony April 12, 2018, held in association with Schulich School of Medicine & Dentistry, Western University at the London Convention Center in London, Ontario. Canadian Medical Hall of Fame Laureates are individuals whose contributions to medicine and the health sciences have led to extraordinary improvements in human health. Their work may be a single meritorious contribution or a lifetime of superior accomplishments. Dr. Hachinski is a renowned neurologist who has helped transform the understanding, diagnosis, treatment, and prevention of the two greatest threats to the brain — stroke and dementia. Together with John W. Norris, Dr. Hachinski pioneered acute stroke units, now the standard of care yielding the best outcomes for stroke patients of all ages, severities, and kinds. He coined the term “brain attack” for stroke to emphasize urgency in dealing with stroke symptoms. Dr. Hachinski and his colleagues, David Cechetto and Shawn Whitehead, identified a link between Alzheimer’s disease and stroke and the brain’s insular role in sudden death. That led to the development of a host of new concepts captured in his new terminology: multi-infarct dementia, leukoaraiosis, vascular cognitive impairment, and brain at risk stage. The eponymic Hachinski Ischemic Score (HIS) is now a standard means for identifying the treatable components of dementia. 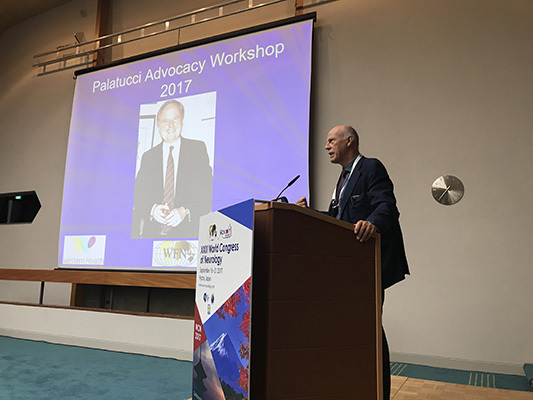 A distinguished university professor of neurology at Western University, Dr. Hachinski has written, co-written, or co-edited 17 books and more than 800 frequently cited scientific publications. 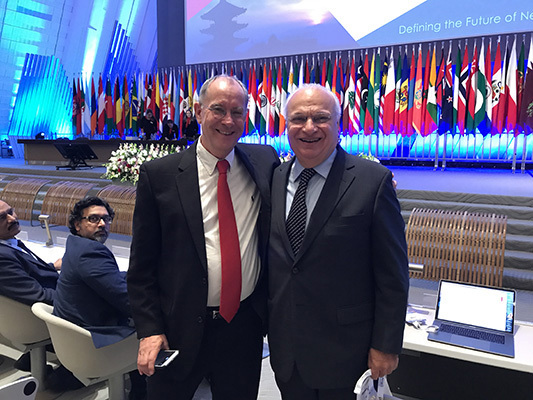 He led the adoption of a proclamation on behalf of the World Stroke Organization and all major international brain organizations aimed at uniting stroke and dementia communities in their joint prevention of stroke and potentially preventable dementias. Also being inducted into the Canadian Medical Hall of Fame will be Drs. Philip Berger, B. Brett Finlay, Balfour Mount, Cheryl Rockman-Greenberg, and the late Emily Stowe.